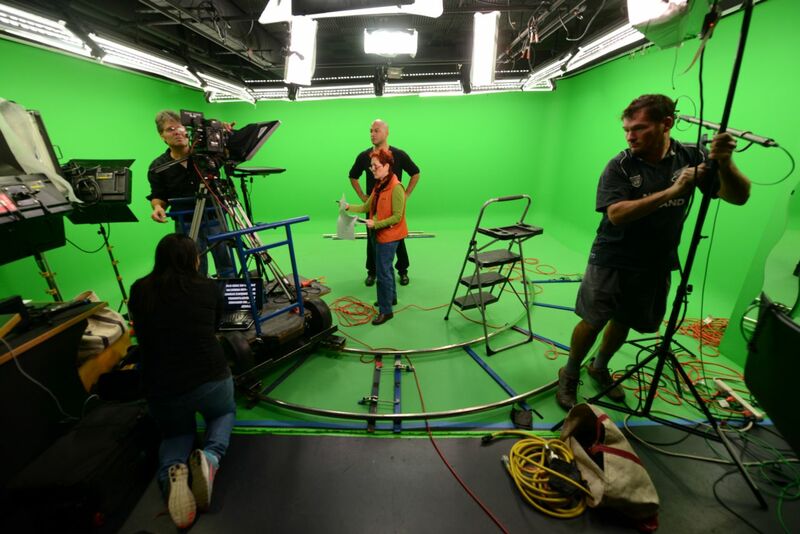 Our Fairfax, Virginia green screen studio floor has 20’ x 20’ floors (3), 20’ feet wide walls (3) and is (8) ft. tall. The green screen is fully lit with 60 feet of lighting covering the three 20 foot walls with even light for optimal keying. Our video studio & green screen rentals include dressing room, kitchen, wireless Internet, conference room, and lots of free parking. 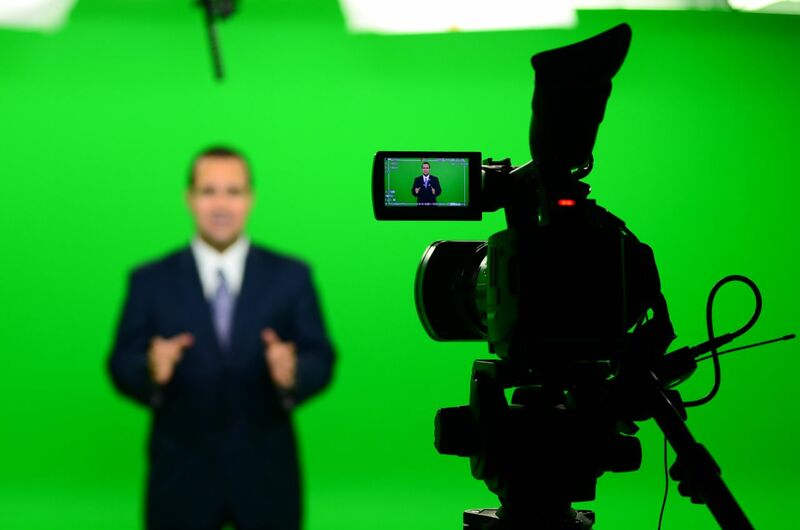 Renting a Green screen can help you save money! One question that people often ask is, what is the difference in price between green screen video and on-site video production? Green screen video allows for a perfectly controlled environment greatly decreasing the time involved in the post video shoot process. This is why it can be cheaper to have your video produced in our Fairfax, Virginia green screen studio as opposed to having our professional staff come to you. Don't wait to call and schedule your video session - the studio is filling up fast! Green screen rentals are not only changing the way that movies are produced but it is also changing the way that companies are marketing their products and services. 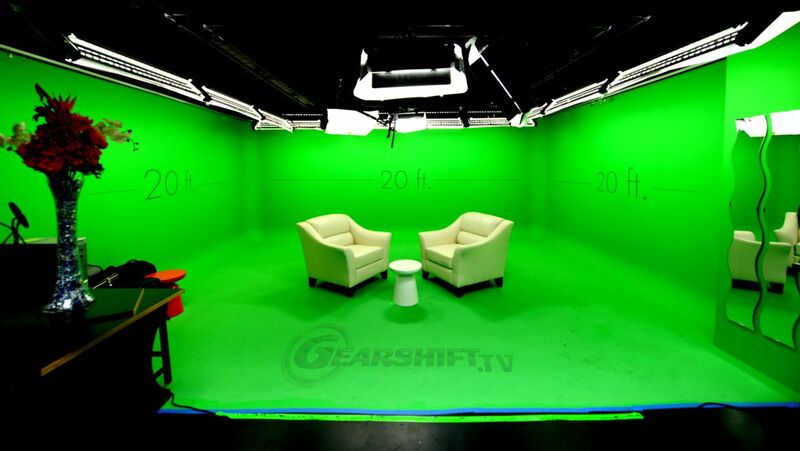 With green screen technology Gearshift TV has the ability to seamlessly integrate any video on to any website. This gives the website an extremely professional feel and is a great way to deliver your message to web visitors. This is what the green screen can allow you to do. This type of video goes a long way in developing a trustful relationship with your potential customers and will ultimately lead to an increased conversion rate on your company's website. In this video our own Jim Folliard talks about how the controlled environment of a green screen studio saves time and money when producing any kind of video. Check out some of the other green screen videos that we have created in our professional Virginia video studio.